I am a professional woodwind multi-instrumentalist based in Streatham. I graduated from the Guildhall School of Music and Drama in 2017 with a first class masters in clarinet performance. 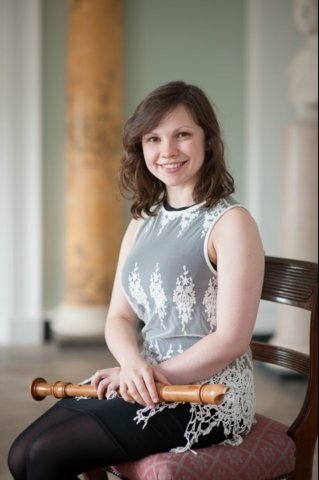 My undergraduate degree in both clarinet and recorder was also undertaken at the Guildhall, from which I graduated in 2016. My performance career covers a diverse range of styles - from orchestral and chamber music to opera and musical theatre to early music. Most recently, I have performed on the saxophone with the RTÉ Concert Orchestra in Dublin, on the flute at Shakespeare's Globe in the new musical Romantics Anonymous, on the clarinet with the London Concert Orchestra in the Royal Albert Hall and on the recorder with Welsh National Opera in the Royal Opera House, Covent Garden. I keep a busy schedule of peripatetic school teaching and private pupils and have been doing so in London for over five years. My performance experience on all four of my instruments allows me to teach all from beginner level to professional. My students have an excellent record in ABRSM exams and as such, I am very happy to enter students for exams, but also understand that they are not for everyone. I am also comfortable giving lessons on a purely casual basis. I think music is one of the most all-encompassing subjects one can learn and it's benefits are well documented. Learning a musical instrument teaches you so much more than just the notes that you have to play (although those are very fun to learn!). It teaches you history, physical coordination, time-keeping, how to work with others, the value of diligence, persistence and hard work, as well as a whole new foreign language, in the form of musical notation. Above all, when we play music, we create art. Although all of the factors which go into music-making are impressive in themselves, I feel that the end result is truly greater than the sum of its parts. Playing an instrument also has the added benefit of increasing confidence and this is something I always aim to nurture in my teaching, no matter what stage you are at on your musical journey. SophieFrom Amelia (5/5): Sophie is a brilliant tutor: she brings a positive and encouraging attitude to each session. She has shared some great techniques and exercises with me in terms of producing a quality sound on the flute, and when learning, practising and improving my performance of different pieces. She is flexible, reliable and keeps lessons fast paced and varied. Her knowledge and expertise (as a flautist and of related musical history and music theory) have been invaluable throughout my lessons with her. I've had the confidence to pick up and regularly play an instrument I hadn't practised in a long time thanks to her guidance, support and enthusiasm. I highly recommend Sophie!